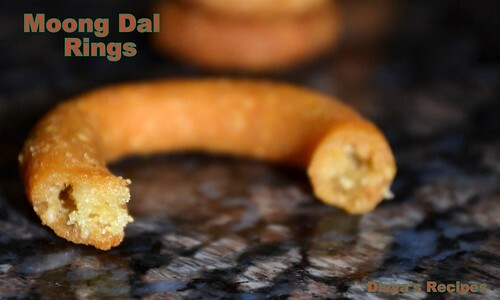 Wash and pressure cook the moong dal with enough water to cover it for 4 whistles.Mash the cooked dall until creamy and set aside. Now add the butter,red chilli powder,cumin powder,sesame seeds and salt mix well.Combine with the rice flour and knead the dough till smooth or soft dough(don't add water)if necessary add little water. 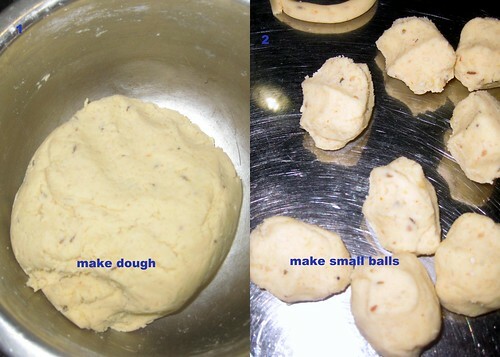 Make small size balls.Take small size dough and roll into a thick rope which is approx 3 inch in length and form a ring by pressing the ends of the rope firmly.Prepare chegodis in this manner (as shown in the image) . Heat oil in a deep frying pan on medium flame.Once oil gets heated gently drop the rings in batches. 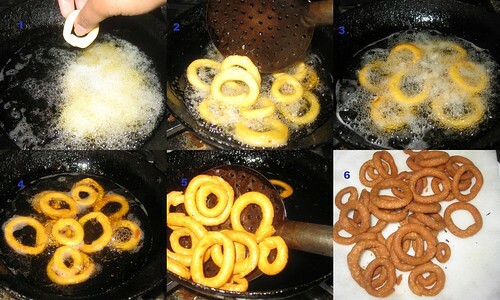 Initially the flame needs to be high and when rings come up to the surface reduce the flame and cook till we get golden color on the chegodilu.When they slowly turn to golden color, turn them over gently to the other side and cook to a golden shade.Use a slotted ladle to remove onto an absorbent paper and cool.Cool completely before storing in an air tight container. 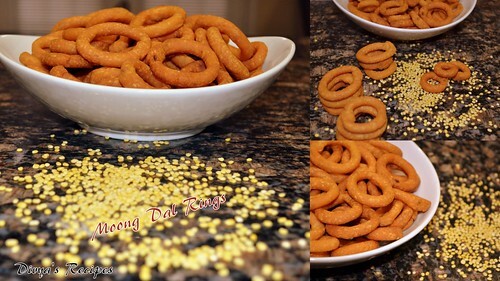 too good.. such a healthy snack from moong dhal..nice rings..
looks crispy dear.. well made..
Looks crispy.Enjoyed a lot during childhood days. Divya these have come out perfect. Thanks for sharing the recipe with the detailed pictures. Delicious and healthy snack.. When we were kids we were a big fan of it, just because of the shape. They look very perfect as they are bought from the store!! They look yum. Is there a sweet version of this snack? Looks so yummy and crispy, would love to have this with my cup of tea !!! Wah so lovely it looks, all time fav. If you have not linked, I think you should link for this event. Looks so crispy and yummy...wonderful snack. 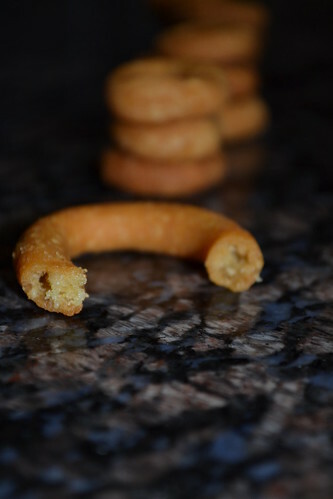 I love chegodilu...u added butter and it tastes even better..
Nice snack dear... And nice clicks too. Divya very useful tutorial.love the murukku. 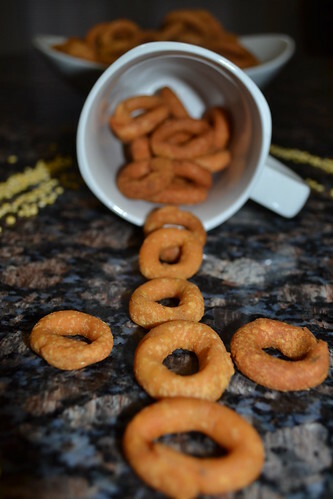 crisp tea time snack,yummy & made perfect!! They are quite addictive. 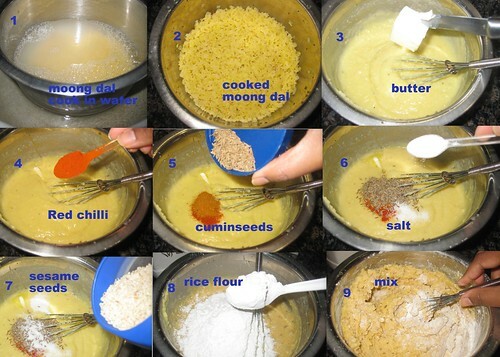 I also have it in my blog but i used less quantity moong dal. Sure this will be tastier than usual snack..Love your pictorial, neat and easy to go.. This is explained nicely. Pics looks great too. Nice presentation. 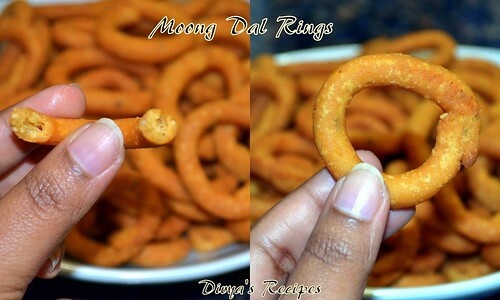 Lovely crispy rings for tea time.. Such a tasty little snack!